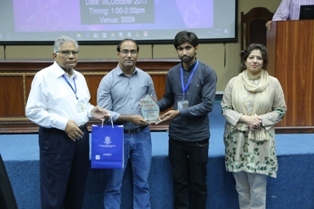 Speers Chemical Society arranged a talk by Dr Muhammad Nadeem Zafar from Department of Chemistry, University of Gujrat. Dr Zafar has over 30 publications both, nationwide and internationally and is currently working on projects from HEC and China. 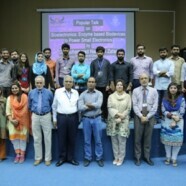 The event took place in S-009, on 05 October 2017. 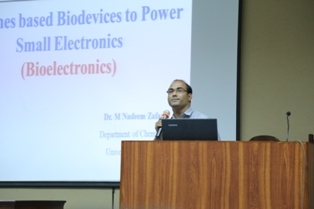 The topic under discussion was ‘Bioelectronics: Enzyme based bio-devices to power small electronics’. 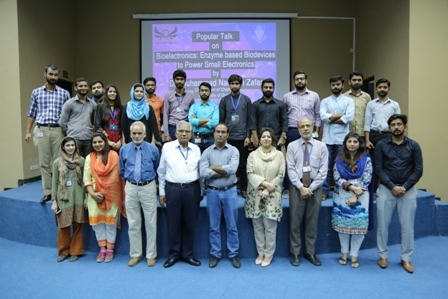 The informative session was attended by students and faculty from Department of Chemistry and Department of Pharmacy. The talk was concluded with an informative question-answer session.